1) Give juniors and adults a break from the internet and stress of a busy life, and replace it by getting into shape, having fun and connecting with new friends. the H.S. Varsity team their freshman year. 3) Prepare high school players (ages 13-18) to excel in school competition, and to train USTA tournament players for college financial aid opportunities. centered, thereby learning to pass it forward. Do adults learn faster than the kids? April, who just took up tennis 5 months ago, is a quick learner. Adults usually learn faster than kids because they listen better, remember key phrases and are more eager to learn because they understand the benefit of getting a return on their investment. Summer Demo Day: kids and adults get a chance to win prizes at Jim's court & try the new racquets from Player's Tennis Shop. The East Country Jr. 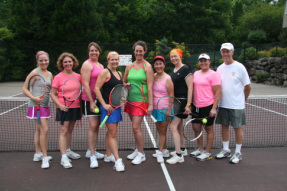 Team Tennis League was started 10 years ago when Jim and his wife, Polly, moved to Damascus, hoping to retire at the end of a 35 year tennis career. 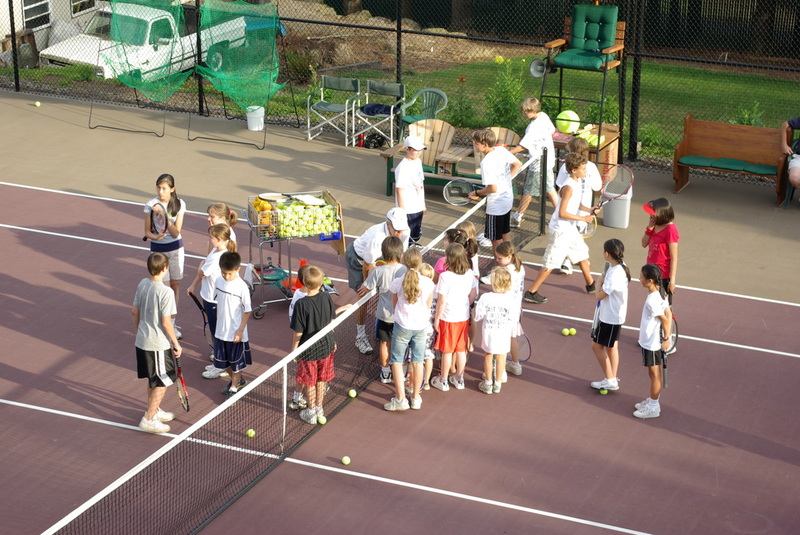 However, shortly after arriving in East County in March of 2005, 8 local families asked Jim if he had a little extra time to develop a small tennis program for their kids in the Gresham Barlow district. They recruited 32 kids that first summer. The next summer 109 kids showed up and from there it has continued to grow, averaging well over 100 each year. One reason the program has grown is due in part to providing weekly competition matches. Over the past 9 years we have provided a schedule of evening matches throughout the summer that allows kids to develop mental toughness by competing every week at local high schools. No one improves much without this. Kids who treat tennis like a seasonal sport don't improve quickly. This is why we started a monthly Jr. League in 2012 that ran through the winter months. This allows kids to compete year round. Isn't it time your children get off the internet, turn off phone texting and get involved in an individual sport that lasts a lifetime? Submit your idea for next year's T-shirt. If your sketch is chosen you win a 50% rebate on next summer's program, plus a free string job on a new racquet at Player's Tennis Shop on Sandy Blvd. Jim went to Kansas State University on a tennis scholarship and graduated in 1969. He later earned the #1 professional teacher's rating from the PTR International Association and the top coaches rating of "Elite Professional" from the United States Professional Teachers Assoc. He began his tennis coaching career in the Washington, D.C. area in the 70's and from there went on to become the head college tennis coach at UCA in 1981. In the mid 80's Jim began helping touring pros on the ATP world circuit and teamed with three #1 world ranked pros conducting tennis programs for high level players. Prior to that time he was the General Manager of the Manassas Indoor Racquet Club in northern Virginia near Wash., D.C..
Jim was a TV analyst / statistician for World Team Tennis and helped coach America's USTA ProAm team (U.S. top amateurs) at the University World Games in Buffalo, New York involving 32 countries. Several of his former students have been awarded tennis scholar/financial aid to universities across America and 6 of his former students have won the Oregon state high school Championship in the last 18 years. 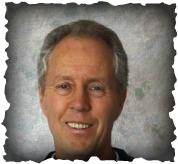 Jim has been an author and teacher to the United States tennis industry over the past 28 years. His books, magazine publications and seminars have been presented to Americas ITA college coaches and club pros in Germany, Latin America and throughout the US. Call Jim Hastings at (503) 421 7911 for availability at your next convention.